Asparagus officially signifies spring regardless of the weather. Here in the southwest we are having a bit of a heatwave and from what I see on the news it is freezing on the east coast, gotta love this time of year. The flavor can best be described as intensely green, a little like broccoli and can be served raw, steamed, grilled and roasted. This persnickety little veggie can be hard to grow in some regions and needs a year round dedicated space. Today I paired asparagus with lump crab, another personal favorite. The flavors were brightened with lemon zest, juice and fresh herbs. There is no butter or cream and you can use fresh or dried pasta. I used rigatoni pasta but there are so many different shapes or even flavors that you can use. In this recipe I blanched the asparagus which helped preserve the beautiful green color. The pasta water was reserved to help loosen up the pasta and create a light sauce. Happy spring everyone! 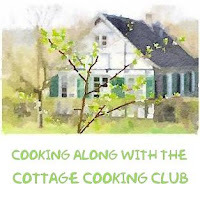 This week the host of the #SundaySupper Movement group is Anne; of Simple and Savory, thank you Anne! Today’s event is all about Easy Spring Recipes. Crab and asparagus pasta marks the beginning of spring. This lovely dish has been lightened up with lemon and fresh herbs. Great for entertaining. Cook the pasta per package instructions, making sure to season the water with sea salt. Retain 1 cup of the pasta water for the sauce. In a medium sized pot of boiling water, add asparagus cook for approx. 2 minutes. Drain in colander and rinse with cold water. Set aside. While the pasta is cooking, heat the olive oil in a skillet over medium heat add shallots to the skillet. Cook shallots about 2 to 3 minutes then add the lemon juice, zest and white wine to the pan. Let liquid simmer and reduce until half. I love asparagus season. We are getting to the end of ours but arrive in Europe just in time for the start of theirs. Your flavour combination sounds perfect. Thanks Tandy, lucky you, way to stretch out the asparagus season. Can't wait for the asparagus season arrive here. This is a very delicious spring dish. I love this, Cheri. I've been buying asparagus lately and it's wonderful to see them pop up on sale because I know it's a sign of spring! : ) I have been wanting to make a pasta with crab and red pepper flakes. This is even better and so simple! Hi Monica, usually I add red pepper flakes to everything, love the flavor but my stomach has been acting up so I've had to cut out peppers of all kinds. Happy Sunday! Crab, asparagus, lemon...just great. The photography too. Everything looks beautiful. Nice post. Thanks Kimberlie, appreciate you stopping by. Thanks Betty, leftovers were great the next day. This is a great recipe for spring, Cheri! Hi Gerlinde, oh Santa Cruz is such a beautiful place, you guys are having such crazy weather. Asparagus has come in a little early for us here in Arizona, it is my favorite veggie. Ya gotta love Spring pasta dishes. This one is perfect! Thanks Lea Ann, that is for sure. This sounds wonderful Cheri. Pinning to my #FishFridayFoodies board. My youngest would think this was paradise! Six weeks or so until she's back from school! Thanks Inger, I bet you miss them when they are gone, being a empty nester is hard at first. Yes, yes and yes! I could eat this up and would enjoy it very much. Simple and perfectly delicious. 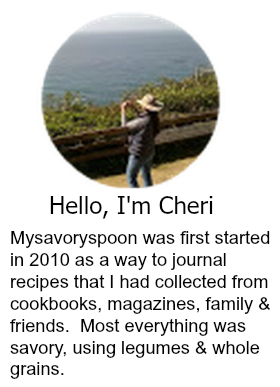 Thank you for sharing this lovely recipe Cheri. Thanks Tricia, we ate this for dinner and lunch. Lovely fresh flavours, just perfect for the start of Spring! Two of my favorite things in a pasta dish (Another favorite!) I love this recipe! Thanks Nicole, your so sweet. appreciate you stopping by. I swear this looks like it came straight from a restaurant. I love a good pasta dish. Thanks Laura, it took us 2 days but we enjoyed every bite. Hi Susan, what a wonderful memory, I've heard that asparagus is hard to grow, so lucky to know of a wild patch. Lovely dish Cheri, the combination of asparagus and crab with the pasta sounds just too good. I love simple pasta dishes like this and it's also very elegant, would make a wonderful meal to serve at a dinner party. Thanks Suzanne, there is nothing like seasonal asparagus. This looks tasty, Cheri, and very elegant. The lemon keeps this pasta dish light and let's those delicious flavors shine through! haha! your the only one that caught that. Thanks Kim! A friend just got me some crabmeat from Costco... now I have to decide whether to make this or your crab cakes! Your advice?? This looks wonderful, Cheri! A nice light pasta dish to celebrate the arrival of spring.